In Clockwork Orange Alex visits the Disc Bootik to get himself a new recording of Ludwig Van. 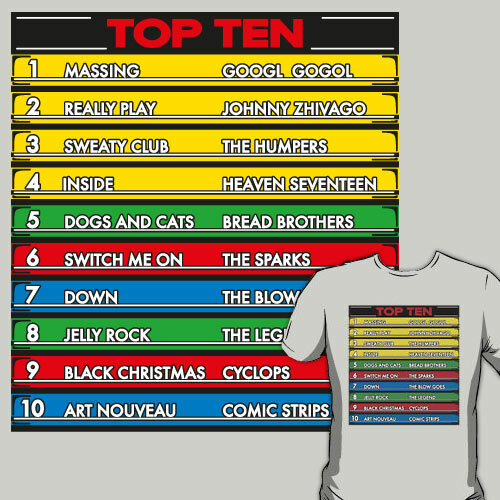 The top ten chart always interested me so I thought I’d figure out what was actually on it and make my own version. I’d love to hear Dogs and Cats by the Bread Brothers. Also available on iPhone cases, stickers and posters from RedBubble as well as prints, iPhone skins, laptop skins, tees and hoodies on Society6.